The product range of ICP Deutschland includes five unmanaged Ethernet switches that can be used in a “plug-and-play” manner in the industrial context. The Gigabit Ethernet switches of the IGS-series are characterized by a compact design with the dimensions of 26 x 70/95 x 95/144mm. They are particularly suited for Ethernet networks in cabinets or other confined space. The 4, 5 or 8 x 10/100/1000 Base-T(X) ports of the IGS-models support all auto-negotiation und auto-MDI/MDI-X as well as store-and-forward transmission. 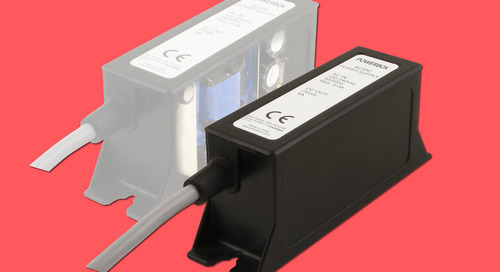 The robust IP30 metal housing is designed for DIN rail and wall mounting. The extended operating temperature from -40°C~+70°C emphasizes the industrial grade of the IGS-series. The redundant power input (12~48VDC) of the IGS-switches continuously ensures a smooth operation despite interruptions of the power supply. In addition, the power supply can be monitored and in the event of an error an alert can be given. The larger models are equipped with a relay connection to enable this function. Two models provide additional 100/1000 Base-X SFP ports that can be assembled with a variety of Fast Ethernet, Gigabit Ethernet and Gigabit Ethernet BIDI (bidirectional) SFP modules. These optical connectors are standardized, modular and hot-swappable. If more comprehensive management functions such as VLAN or an increased network redundancy (O-Ring or O-Chain) are required, however, ICP also offers IGS-models as managed switches.